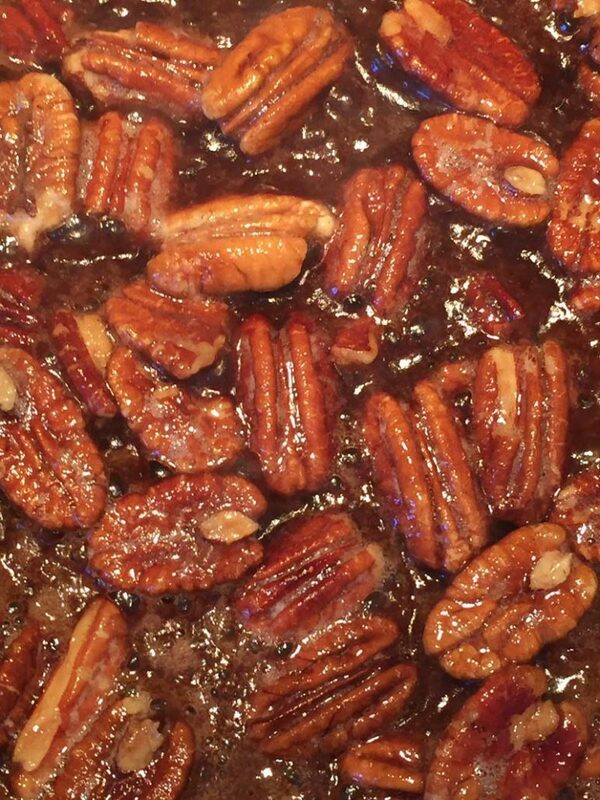 Is there anything that smells better than freshly made candied pecans? 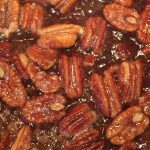 With this recipe for Keto Candied Pecans you will adore the flavor as much as that delectable smell we all know and love. It sounds like an impossibility, candied and Keto?! I know, it is hard to believe. 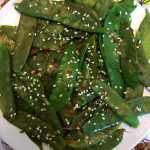 Trust me when I say not only is this recipe Keto-friendly, but it is delicious as the sugary candied pecans you know and love. Sugar-free and just as incredible as the regular one, these Keto Candied Pecans are amazing. 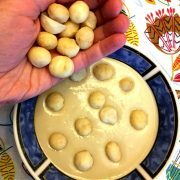 No one could tell the difference between these amazing little nuts and the standard preparation method. Have I caught your attention? What if I told you these Keto Candied Pecans have only three ingredients? 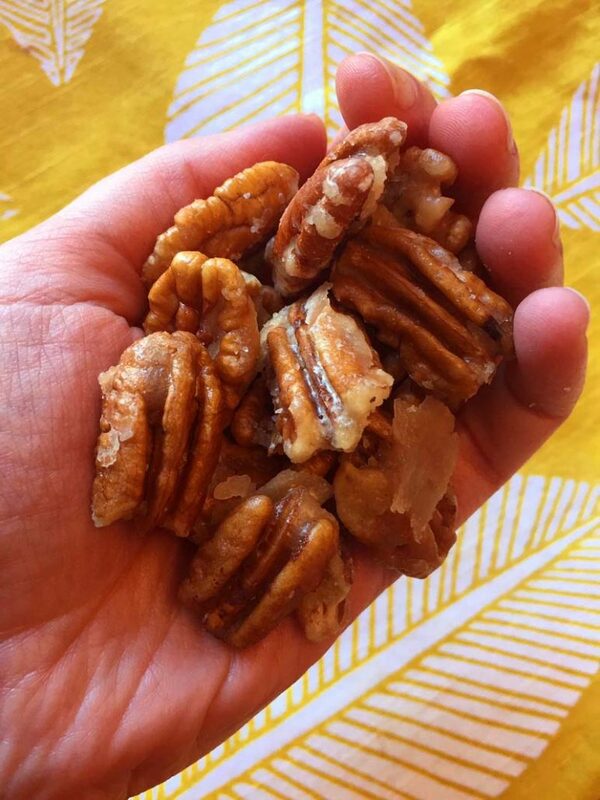 I promise you that one handful of these delicious pecans and you will forget all about the ones loaded with sugar. 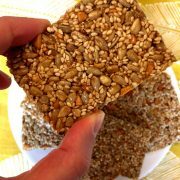 These make a great snack and satisfy a sugar craving without any sugar at all. They are crunchy and sweet and will make your house smell incredible. To make this treat, first melt butter in a non-stick frying pan. 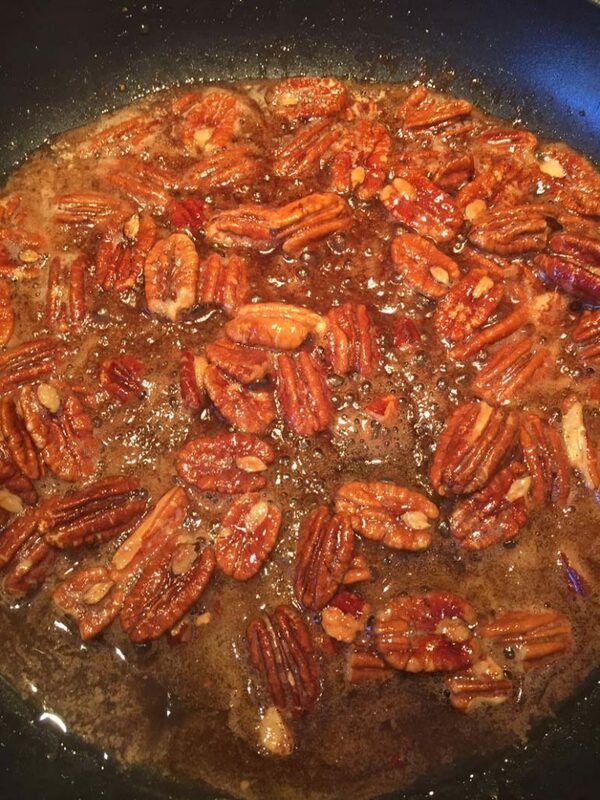 Add in your pecans and Swerve, mixing the nuts and Swerve sweetener with the melted butter. Cook, stirring every thirty seconds until the Swerve sweetener is melted and evenly coats the pecans. This will take about three or four minutes. Make sure to keep a close eye, the pecans can easily burn! Transfer your pecans from the frying pan to a parchment paper lined cooking sheet. Spread your Keto Candied Pecans in a single layer so they are not touching. Let your Keto Candied Pecans cool completely on the parchment before transferring to a serving dish. When cool, pop one of these delectable treats in your mouth and enjoy! Crunchy, sweet, buttery flavor will explode in your mouth with each bite of these Keto Candied Pecans. 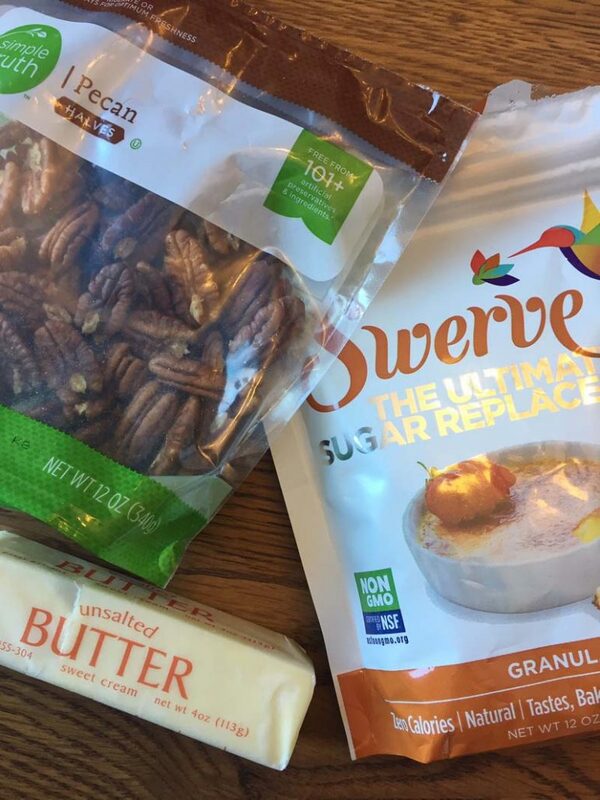 I love the combination of the salty pecans and sweet Swerve. 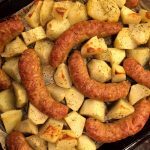 This recipe would make for a great family gathering or work event. They taste decadent but don’t have all the sugar you’d find in a traditional candied pecan recipe. 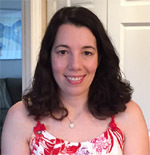 There is no reason a Keto diet should keep you from enjoying your favorite sweet treats. 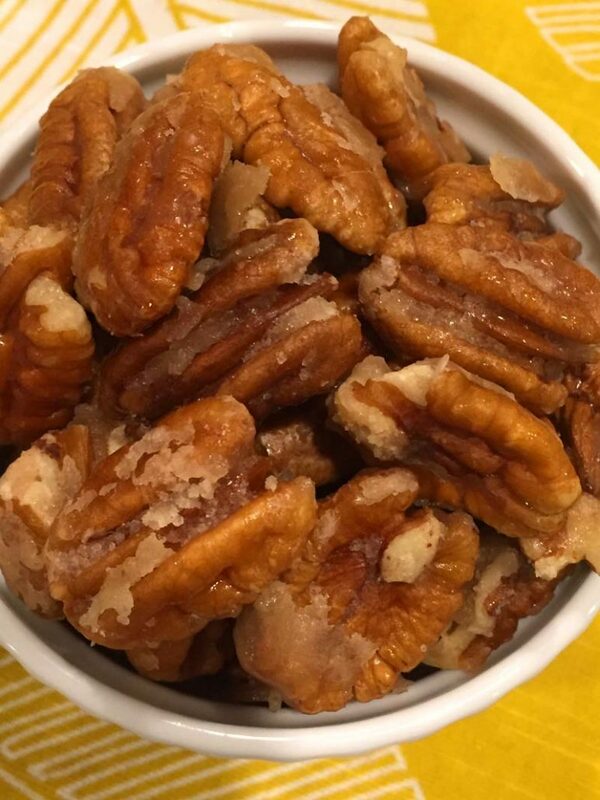 With this recipe for Keto Candied Pecans, you can enjoy a tasty, sweet snack that anyone would enjoy. 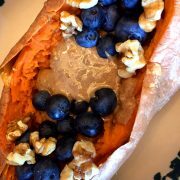 Whether you’re following a Keto diet or just looking for a treat without sugar, you’ll be in love with this incredibly mouthwatering recipe. Step 3: Cook, stirring, until Swerve has melted and pecans are coated. Step 4: Put keto candied pecans on a parchment-paper lined baking sheet until cooled down. Keto Walnut Crust – make an epic pie crust without gluten or sugar! Made with ground walnuts that bake into a crust, this keto pie crust is a game changer! Keto Ricotta Cake – if you are tired of eating eggs for breakfast, you will love this low-carb breakfast cake! So healthy and filling and tastes so good! Keto Peanut Butter Cups – these homemade peanut butter cups are better than Reese’s! What a perfect low-carb treat! Keto Bacon Chips – if you are a bacon lover, you will go crazy over these crunchy bacon chips! Perfect for dipping into a bowl of homemade guac! Best Ever Keto Bread – tastes like real bread! You just have to try it to believe it, this is the best keto bread recipe on the Internet! These keto candied pecans are amazing! Nobody can tell a difference between these sugar-free candied pecans and the regular ones! Put a sheet of parchment paper on the counter. 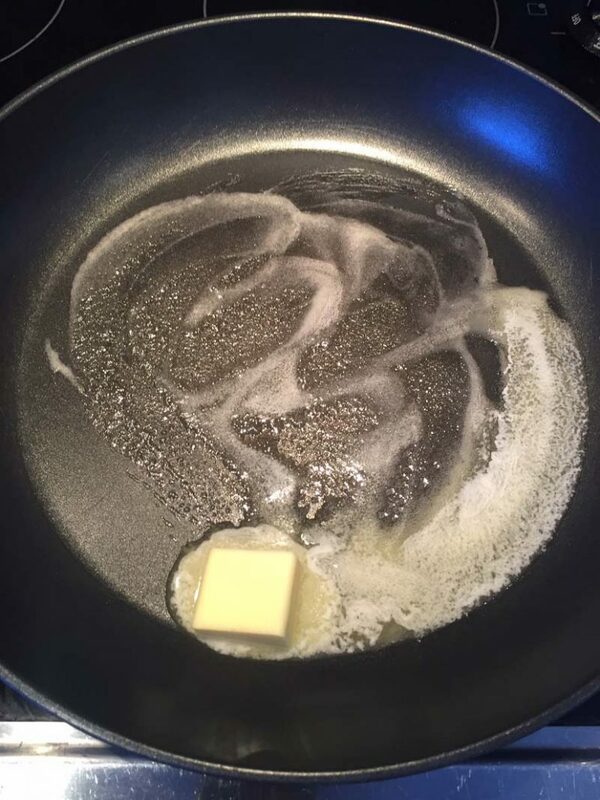 Melt butter in a large non-stick frying pan over medium-high heat. 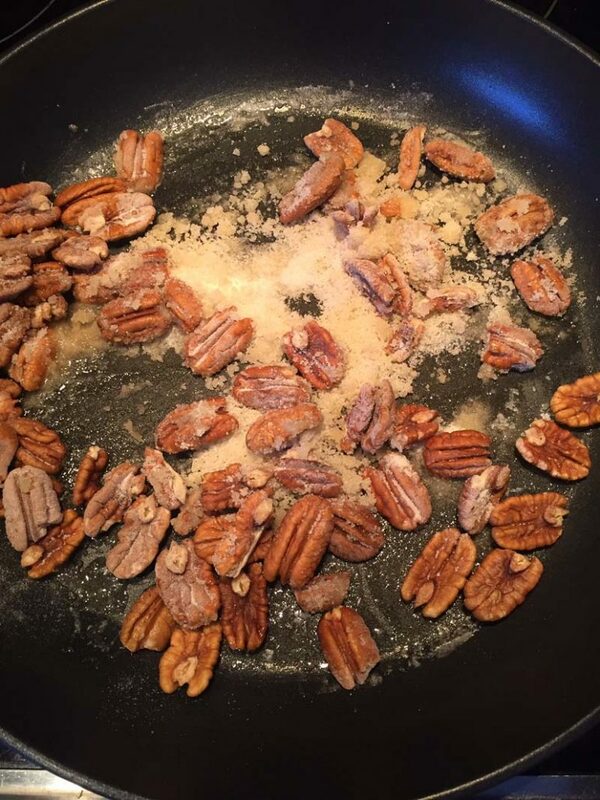 Add pecans and Swerve to the frying pan and mix until combined with melted butter. Cook, stirring every 30 seconds, until Swerve is melted and evenly coats the pecans (3-4 minutes). (Watch the pecans closely as they can burn very quickly). 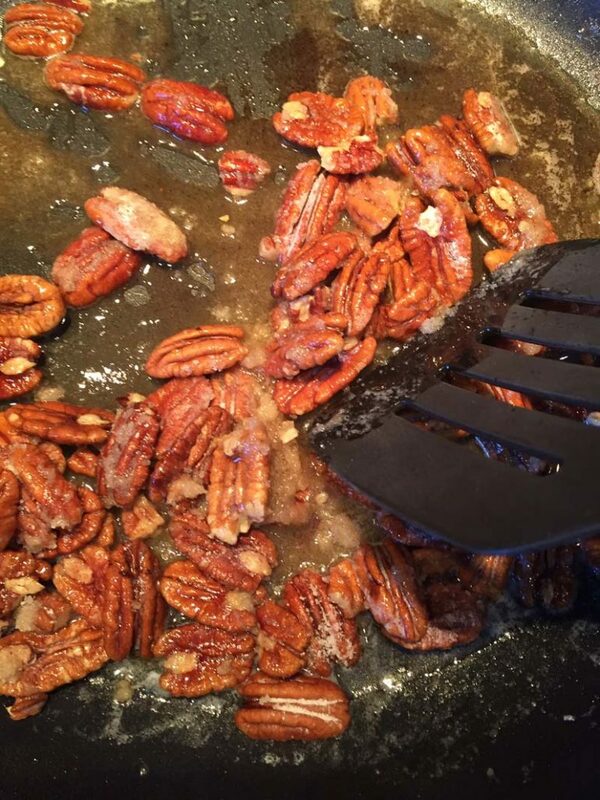 Transfer keto candied pecans from a frying pan to the parchment paper. Spread them on parchment paper in a single layer so they are not touching. 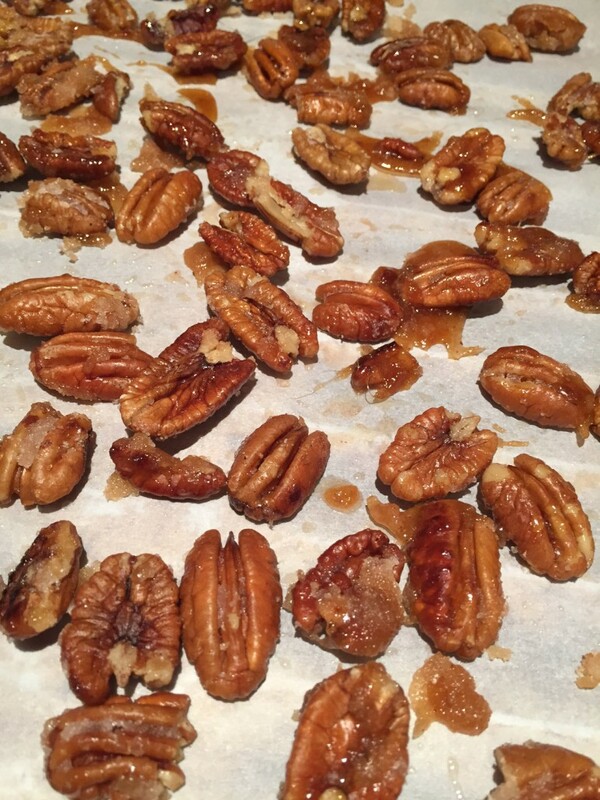 Let the keto candied pecans cool completely on parchment paper, then transfer to a serving dish. 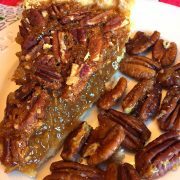 Pecan Pie Recipe Without Corn Syrup - Best Ever!